International Journal of Research in Health Sciences,2014,2,4,1129-1131. 1-Senior Resident. 2-Associate Professor, Department of general surgery, Mysore Medical College & Research Institute, Mysore, Karnataka, INDIA. 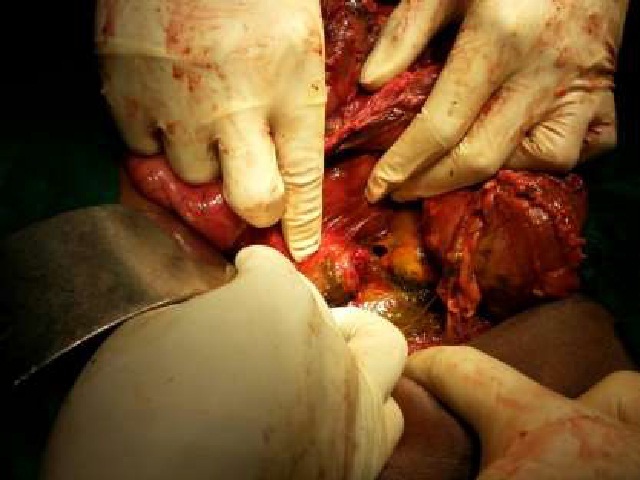 Isolated duodenal injury secondary to blunt abdominal trauma is rare. It represents approximately 2% to 20% of patients with blunt abdominal injury and often occurs after blows to the upper abdomen, or abdominal compression from highriding seat belts. Isolated blunt injury of the duodenum is both less common and more difficult to diagnose than penetrating injuries and it may also occur with pancreatic injury. Despite progression of the imaging techniques, the diagnosis still remains critical and may be delayed in particular, when there is perforation of the retroperitoneal part of the duodenum. Knowledge of the circumstance surrounding the injury and the various techniques in the management of duodenal injury is necessary for the general surgeon for the optimal management of this uncommon and often complex injury.